After spending about $100 for the Kindle, I didn’t want to spend another ten or twelve bucks for each book I downloaded, so I focused primarily on books that were old enough to be in the “public domain.” In other words, I could download these books for free. 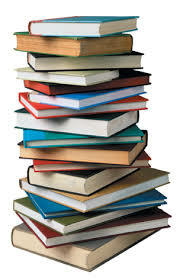 I read many books by Dickens, H.G. Wells, Mark Twain, and even Shakespeare. Back when I was reading these books, my wife pointed out that I was finally doing the high school homework assignments I was supposed to do in 1974. She’s right. When I was 17 and required to read those books, it seemed like torture. I chose instead to call my girlfriend (now my wife) the night before a test and beg her to summarize the book for me. 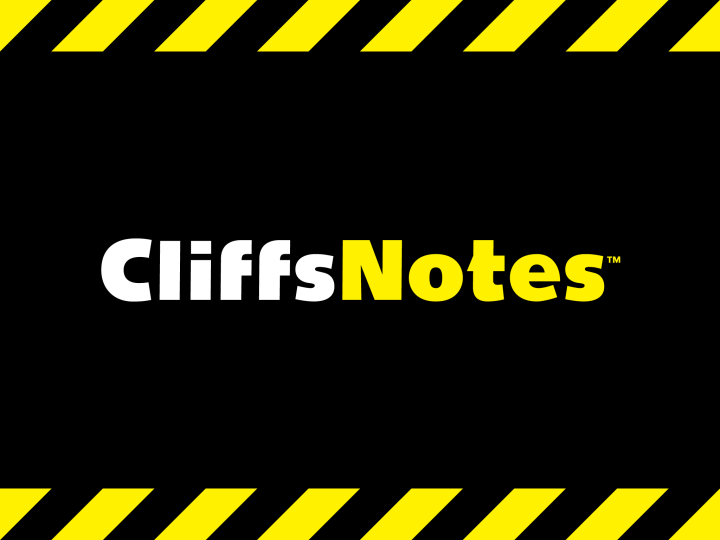 (Some people had Cliff Notes; I had Joyce Notes.) But many decades later, as a middle-aged schlep, I discovered that reading these classics was a lot of fun. Not having to worry about taking a test, the results of which could ruin my chances of getting into college, may have been a major reason why I enjoyed it. 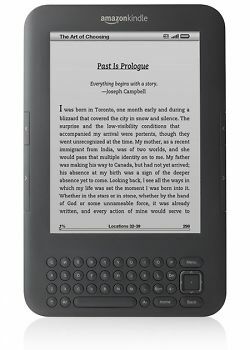 However, after six years and hundreds of books (OK, OK, dozens of books), I have come to a startling realization: I am sick and tired of reading books on a glowing screen. It’s not that I can’t see the print; I can see it fine. It’s just that I miss having a hunk of paper in my hands, with real pages that I can turn, rather than swiping my finger across a screen. I miss using Post-it notes for bookmarks. I miss being able to quickly see how many pages I have left in a chapter. I miss grabbing a red pen and underlining an inspiring passage and scribbling some notes in the margin. 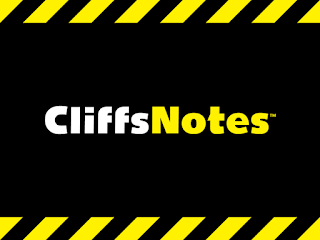 Yes, I realize that Kindles and iPads allow you to create electronic bookmarks and highlight passages and insert little pop-up boxes with your personal notes, but it’s just not the same. Besides needing to take an advanced software class just to learn how to activate these clever little features, using electronic bookmarks and creating little pop-up boxes feels too much like being at my job. Where I work, I have to use electronic gizmos all day long, including synchronizing my email folders and my appointment calendar to my iPhone and iPad; connecting to the office’s network and printers via wifi; and programing the phone system to automatically send voice messages to my cell phone via audio files attached to email notes. It seems every three days something is being upgraded or modified, and a whole new learning curve must be climbed. Many weeks I spend more time being trained how to use electronic devices than I spend doing my job. 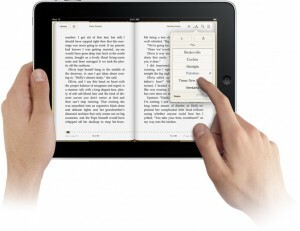 So, when it’s time to relax and enjoy a good book, I want it to be a low-tech experience. I want a hunk of paper in my hands. Now obviously, I don’t want to destroy an entire forest to print up a pile of books just for me. 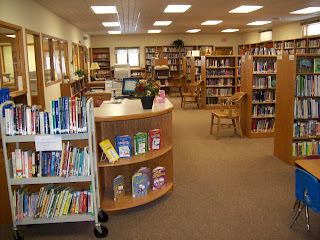 If only there was a place in town with a collection of books people could borrow. 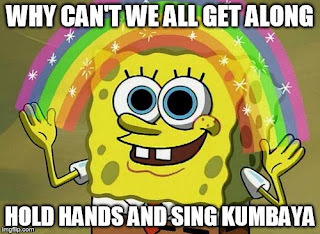 Wouldn’t that be great? Someone should look into it. This week we celebrate Easter Sunday. Alleluia! Christ is risen! Alleluia! I am amazed by people who truly do NOT believe Jesus rose from the dead, and yet are still convinced Christianity is a wonderful religion. These folks believe that Jesus taught some terrific things about social and moral issues, and if we all would just follow those teachings the world would be a much better place. Now, there’s no doubt in my mind that if we all followed Jesus’ teachings the world indeed would be a much better place. But Jesus’ view on charity, compassion, and society’s obligation to the poor was not His main message—nor was it a new message, as many philosophies before and after the time of Jesus had “love your neighbor” as the basis of social morality. Jesus’ main message was Himself. Specifically, that He alone could forgive our sins, He alone could pay the price for our transgressions by dying on the cross, and He alone—pay close attention here—could conquer death once and for all by rising from the grave. St. Paul makes it abundantly clear that without the Resurrection, Christianity is nothing special. In his first letter to the Corinthians, Paul wrote: “If there is no resurrection of the dead, then neither has Christ been raised. 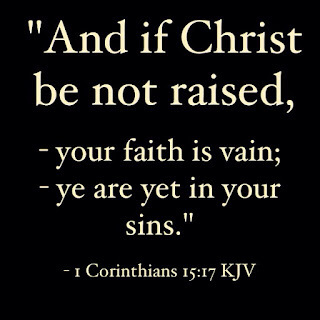 And if Christ has not been raised, then empty, too, is our preaching; empty, too, your faith….For if the dead are not raised, Christ has not been raised, and your faith is vain; you are still in your sins. Then those who have fallen asleep in Christ have perished. If only for this life have we hoped in Christ, we are the most pitiable people of all” (1 Cor 15:13-14, 16-19). That really says it all: if Jesus did not in fact rise from the grave, our Christian faith is pitiful, pathetic, useless. Sorry, it doesn’t work that way. If Jesus’ body remained dead and rotting in the tomb, then in the grand scheme of things, our faith is worthless. Oh sure, this brand of Christianity might make people feel good for a while, but it is powerless over mankind’s biggest problem: death. I suspect these folks have fallen for one of the biggest scams in modern history: the anti-supernatural bias. This is the belief that the universe in comprised ONLY of natural phenomenon. Things such as angels and saints, soul and spirit, Heaven and Hell, and even God Himself, really do not exist, because they are supernatural. But when did we decide the natural world is all there is? The natural world is amazing, to be sure, since it was created by God. However, a supernatural dimension to reality still exists. And if God could work the miracle of creating the natural world, He surely can work the miracle of raising Jesus from the dead. So, on this celebration of the most momentous event in world history, the Resurrection, let’s focus on the risen Lord and be absolutely certain that He really did rise from that tomb. 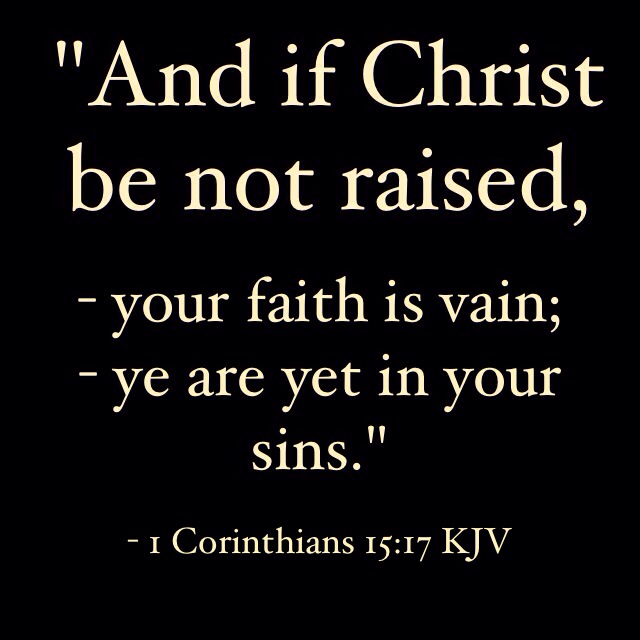 As Paul said, if Jesus did not rise, our faith is in vain. But He DID rise, and that makes all the difference. 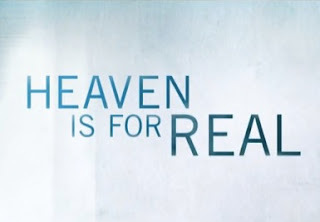 That means we, too, can live forever in Heaven after our time here on earth is over. Whenever a particular law becomes obsolete, the best thing we can do as a society is repeal that law. There is one law on the books right now that is definitely causing more harm than good in these United States of America. Our elected officials have a civic duty to repeal the Law of Gravity. 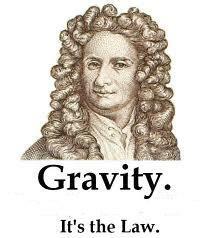 Let’s face it, the Law of Gravity is stupid. The law might have made sense when the Founding Fathers first enacted it back in the late 1700s, but nowadays we certainly can do without it. 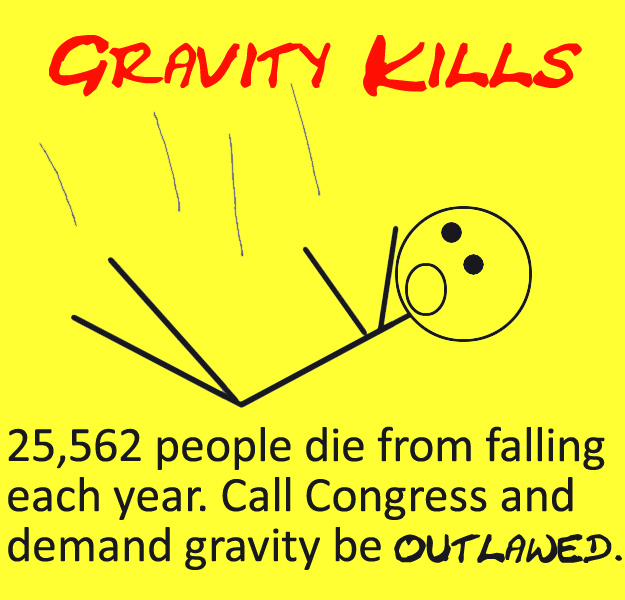 I understand President George Washington was planning to veto the gravity bill when it reached his desk, but unfortunately sleazy lobbyists from the gravity industry, as they’re wont to do, came down on him like a ton of bricks. 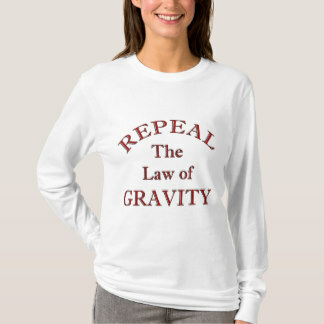 The Law of Gravity causes far too much trouble. It’s the primary reason people fall off ladders. It’s one of the leading causes of stumbling down stairs. It’s the sinister explanation behind the rash of iron anvils repeatedly falling onto the heads of unsuspecting cartoon characters. And gravity was the culprit during two recent traumatic experiences in my life. First, I was driving down a hill and I had to apply the brakes because stupid gravity was causing my car to increase in speed. 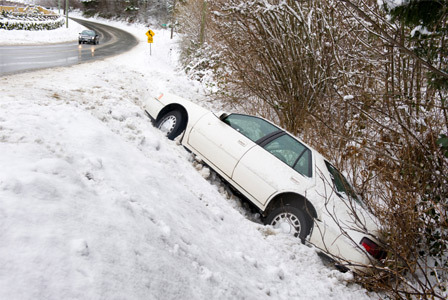 Just as I touched the brake pedal, my car hit an icy patch and skidded sideways. After a few terrifying seconds, my car finally came to rest, narrowly missing a telephone pole. Luckily there was no damage to my car. But I soon discovered that although I avoided having an accident with my car, during those frightening moments I did not completely avoid the concept of “accident,” if you get my drift. As a result, a perfectly good pair of pants was ruined. 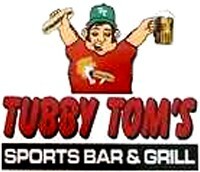 Just a couple days later, I was enjoying some barbecue ribs at a fine eating establishment, “Tubby Tommy’s House O’ Cholesterol.” As I brought a juicy rib up toward my mouth, stupid gravity suddenly seized a big glob of barbecue sauce and caused it to fall right into my lap, ruining yet another pair of pants. It wouldn’t surprise me if clothing manufacturers, especially the companies that sell pants, are the deep pockets (pun intended) financing the pro-gravity special interest lobby. 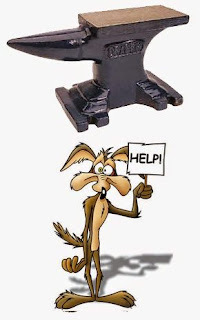 Where are the investigative reporters when you need them? Skiing will become a whole lot less painful and whole lot more fun. I might even muster up enough courage to climb a ladder and clean out my gutters once in a while. Oh wait, that’s a different mother-of-all fear-mongering statement. The scientists will say that repealing the Law of Gravity will cause everything on the planet, including people, to spin off the earth and into outer space. Well, that might have been a concern back in the late 1700s. But after generations of eating at places such as “Tubby Tommy’s House O’ Cholesterol,” Americans are simply too large to get into orbit. This week is Palm Sunday, and the gospel reading at Mass is the entire Passion of Jesus. 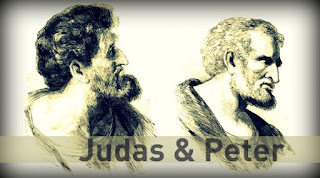 I’d like to focus on two other people mentioned in the Passion account: Judas and Peter. Peter’s gutless lack of courage at that moment was even more pitiful in light of his pompous bragging earlier in the evening. At this point the two men’s lives took drastically different turns. 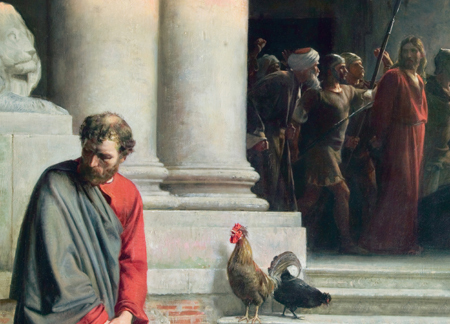 Peter went into hiding with the other disciples, no doubt barely able to live with himself. He stuck it out and did not do anything rash or impulsive. Soon after, things got much better. Specifically, three days later when Jesus rose from the dead. The Lord forgave Peter, sent the Holy Spirit to empower the believers, and commissioned Peter to be the leader of the Church. Judas was also distraught by what he had done. But he did not stick it out and wait to see what would happen next. And so, he did not receive forgiveness from the resurrected Jesus—which Jesus surely would have offered if Judas had only asked. 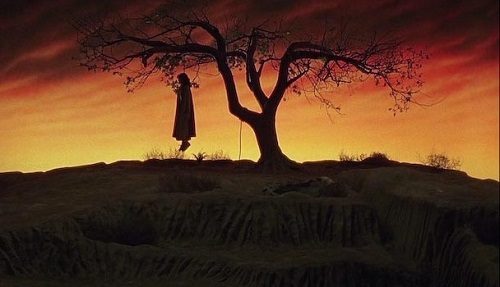 Instead, Judas impulsively went out and committed suicide. How incredibly sad. Two men with very similar experiences, but with very different endings. Despite his earthly failings, one became the leader of the early Church and is no doubt now and forevermore a member of the heavenly Communion of Saints. The other, with similar earthly failings, is presumably attending a very different gathering, one with a decidedly sulfurous atmosphere. 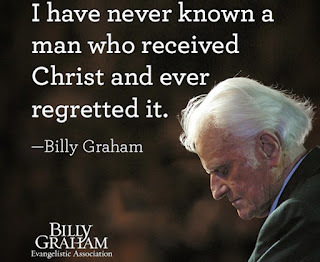 The lesson from the lives of these two men is simple: No matter how badly we screw up, no matter how terrible our sin, Jesus can and will forgive us. 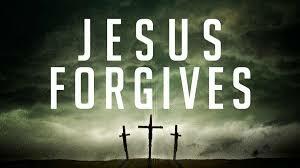 All we need to do is sincerely repent and sincerely ask for His forgiveness. Peter learned this was possible. Unfortunately, Judas did not. There is a lot going on in the Passion account this week. As you’re listening, try to think about the lives of these two men and what they can teach us about sin and forgiveness. What’s in the Bottle, Water or Gold? If I remember correctly from high school biology class, 90-percent of the human body is made up of water. This does not include college students, of course, whose bodies are comprised of 90-percent beer. Since 90-percent of our bodies are water, if we had no water we would definitely lose some weight, but I suspect our overall appearance might not be exactly in the fashion model category. Without any water we’d probably look very much like a big pile of dryer lint. Water is an important aspect of many enjoyable activities. For example, it makes swimming noticeably more fun. In the Olympics, 10-meter platform divers REALLY appreciate water. 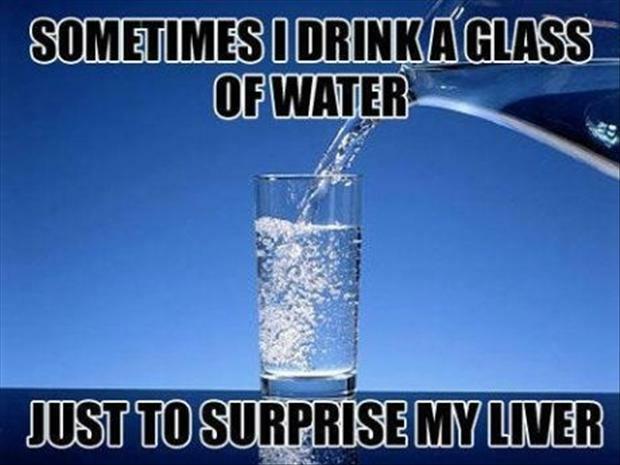 And I’m pretty sure water makes showering noticeably more effective. I can only think of a handful of instances when I find water annoying: when it enters my house uninvited through a leaky roof; when it soaks the front seat of my car because I drove to work with the windows cracked open and no one told me it was going to rain later that day; and when I hit a perfectly straight tee shot, but the mysterious magnetic forces lurking in ponds suddenly grab my golf ball in mid-flight and cause it to curve, producing a heartbreaking splash. 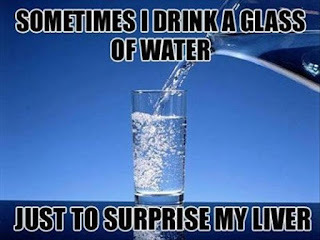 But all things considered, I really like water. What I don’t like, nor do I understand, is the current mania surrounding BOTTLED water. Correct me if I’m wrong, but isn’t bottled water, by definition, a bottle with some water in it? 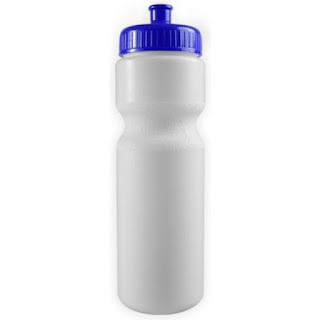 If so, then why does bottled water cost the same — and sometimes more — than other bottled products containing soft drinks, juice, milk, and yes, even beer? 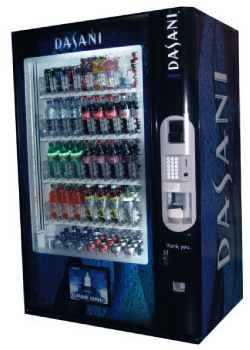 Last week I stopped at a highway rest area, and the vending machine offered the following products: Coke, Sprite, orange soda, iced tea, and bottled water. Each item came in a 20-ounce bottle, and each item was the exact same price: $2.00. By the way, that works out to be ten cents per ounce, which translates into $12.80 per gallon, which means water, plain old water, costs almost FIVE times more than gasoline! 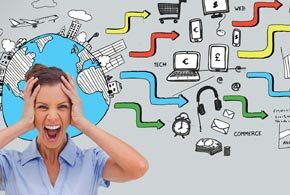 How can a product with an ingredients list consisting of a single word — “water” — cost the same as products with multiple ingredients and complicated refining processes? 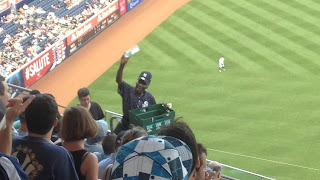 Then I saw the button pinned to his shirt: “Bottled water - $6.50.” Then I shouted something I don’t usually say, but which is fairly common in New York City. 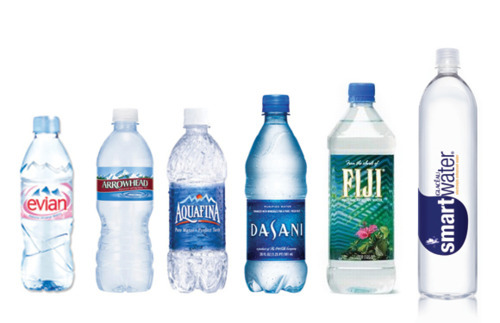 It’s time to boycott over-priced, fancy-shamsy bottled water products. 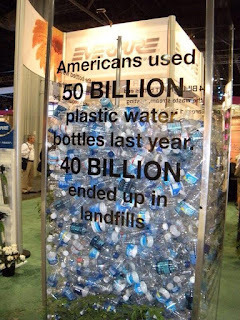 Everyone should buy a reusable plastic bottle at Wal-Mart (98 cents each), and then fill it each morning at the kitchen sink. Doesn’t that make sense? 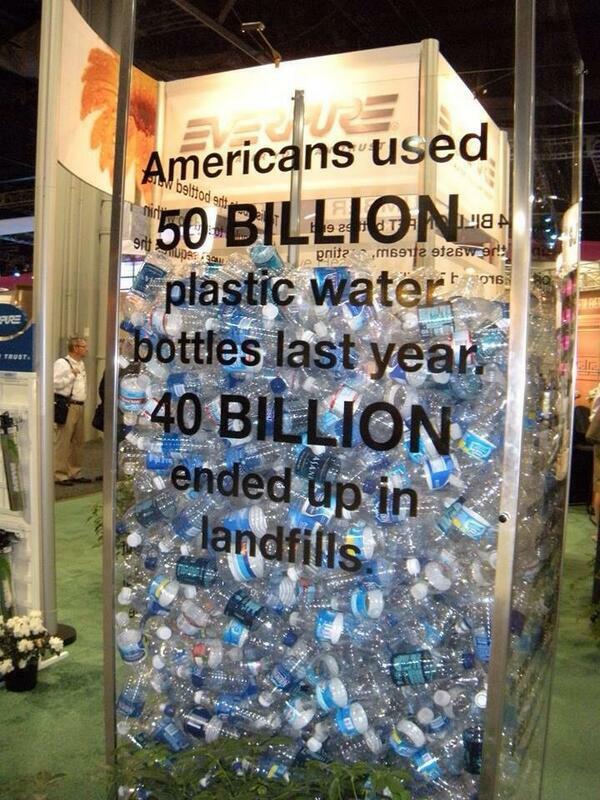 Or when it comes to bottled water, am I all wet? But there’s no doubt Billy Graham’s life mission was to encourage people to enter into a personal relationship with Jesus. And boy, did he ever succeed. 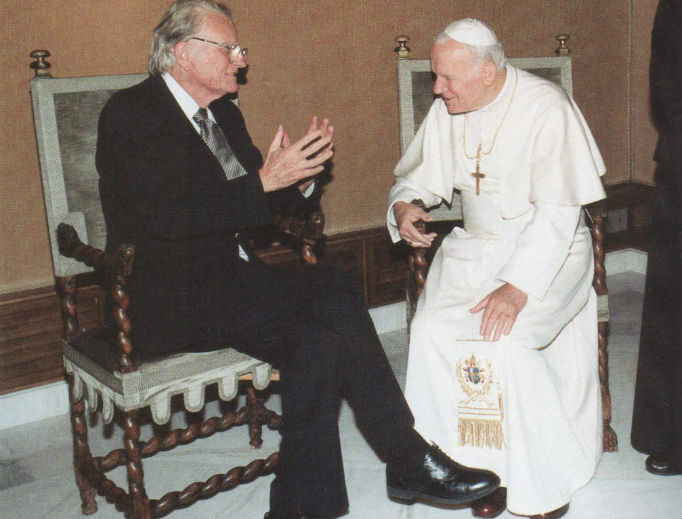 The news reports about his death included a glowing tribute from Cardinal Dolan of New York, and mentioned Graham’s close friendship with St. Pope John Paul the Great. 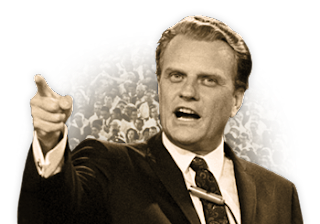 Way back in the 1950s, long before the Second Vatican Council’s more ecumenical approach toward other faith traditions, Billy Graham was actively reaching out to Catholics. This was quite bold and risky behavior, and many of Graham’s fellow Southern Baptists were outraged. However, the animosity is not just one-way. 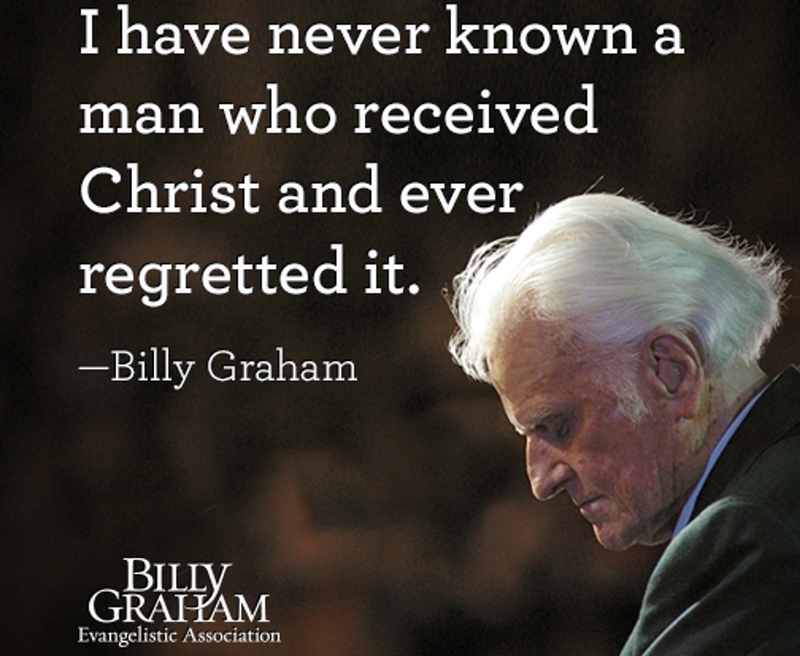 Many Catholics have been wary of Billy Graham for years. 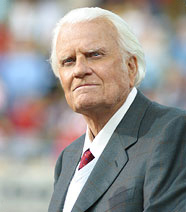 I can remember as a kid hearing adults in the parish grumbling about his televised crusades. 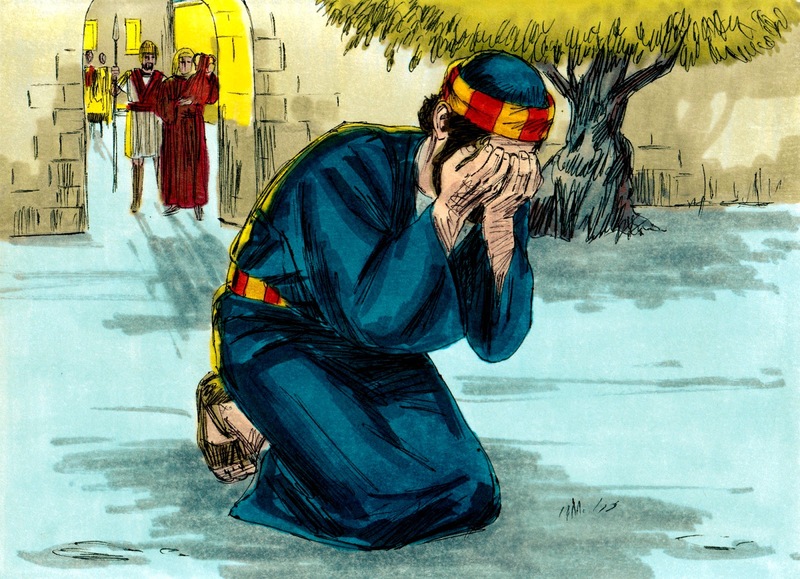 “Bible thumping phony,” is the phrase I remember hearing often. Upon his death last month, certain corners of the Catholic blogosphere dismissed Graham and his ministry for the unpardonable sin of being a Protestant and therefore a heretic. Wow, when will it ever end? First, the Catechism notes that they “possess the Word of God.” Protestant Bibles have the same divinely-inspired message as Catholic Bibles. We believe these sacred texts contain the truth God wished to share with us, and therefore, Protestants are in possession of God’s Holy Word. 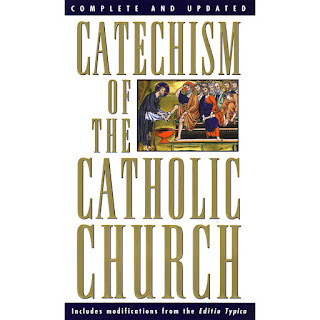 Next, the Catholic Catechism explains that Protestants have valid baptism. Have you ever noticed at the Easter Vigil that some people converting into the Catholic Church receive three sacraments: Baptism, Eucharist, and Confirmation; while others receive only two: Eucharist and Confirmation? This is because they’ve already been baptized in a Protestant community, and whether it was Congregational, Baptist, Methodist, etc., it was a valid baptism that forgave Original Sin and imparted divine grace. There’s no need for them to get baptized again. 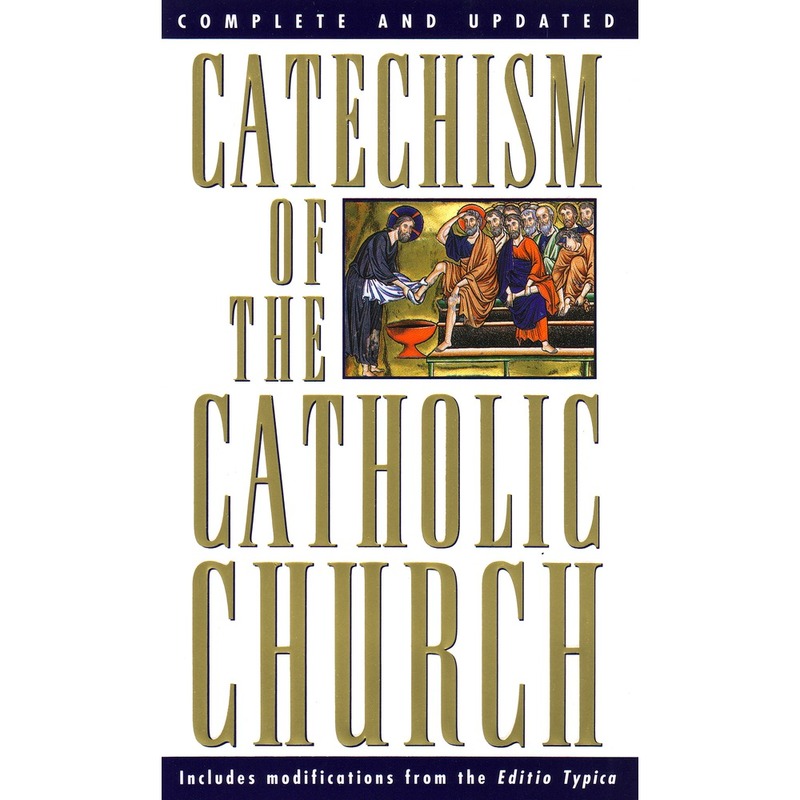 Third, the Catholic Catechism says Protestants have the right to be called Christians. If the focus of their faith is Jesus Christ and His teachings, then how could we possibly say they are not Christians? Finally, and most importantly, the Catechism says our separated brethren in the Protestant communities have the “means of salvation.” The reason sincere and faithful Protestants can go to Heaven is simple: if you have even a little Jesus, you have a LOT of Jesus. 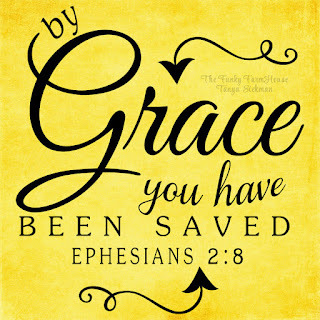 The Lord’s mercy and grace and supernatural Spirit are so powerful, even a little bit of Him is more than enough to forgive sins and conquer death once and for all. This is the heart of the Gospel, whether preached in Catholic or Protestant churches. This is the promise of Jesus Himself, who declared, “Whoever believes in [me] shall not perish but shall have eternal life” (John 3:16). 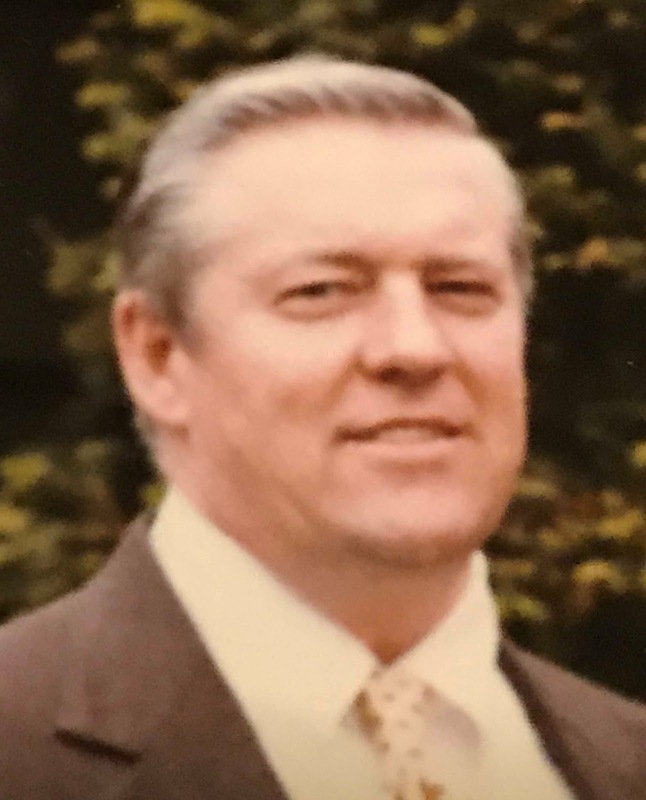 Mr. William L. “Bill” Dunn, of Park Drive, Clinton, died peacefully surrounded by loved ones at Middlesex Hospital in Middletown, on February 16, 2018, at the age of 86. 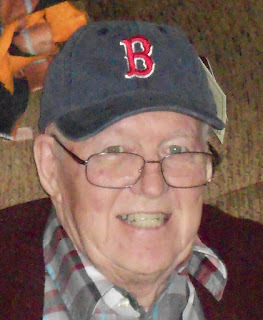 Bill is survived by his loving wife of 63 years, Jane H. Dunn, and his children and their spouses, William (Joyce) of Torrington; Timothy (Paula) of Nashville, TN; Kathryn Scott (Joseph) of Portland; Jeremiah (Nancy) of Clinton; and Cornelius (Cynthia) of Newtown. Bill was preceded in death by his parents, Jeremiah and M. Loretta Dunn, and his siblings, Anna, Daniel, Loretta, Jane, and Elizabeth. He is survived by 11 grandchildren and two great grandchildren. 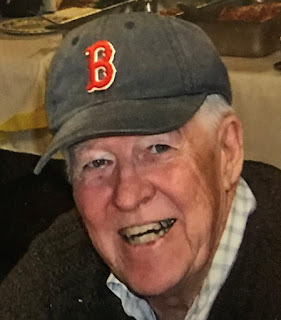 Born on December 22, 1931, in New Haven, CT, Bill graduated from Hillhouse High School and in 1954 received a Bachelor’s degree from New Haven State Teachers College (now Southern Connecticut State University). He also earned advanced degrees from the University of Connecticut and the University of Rhode Island. He served four years in the U.S. Navy Reserve and two years in the U.S. Army, but did not root for Navy during the annual Army/Navy football game because the Army never made him seasick. 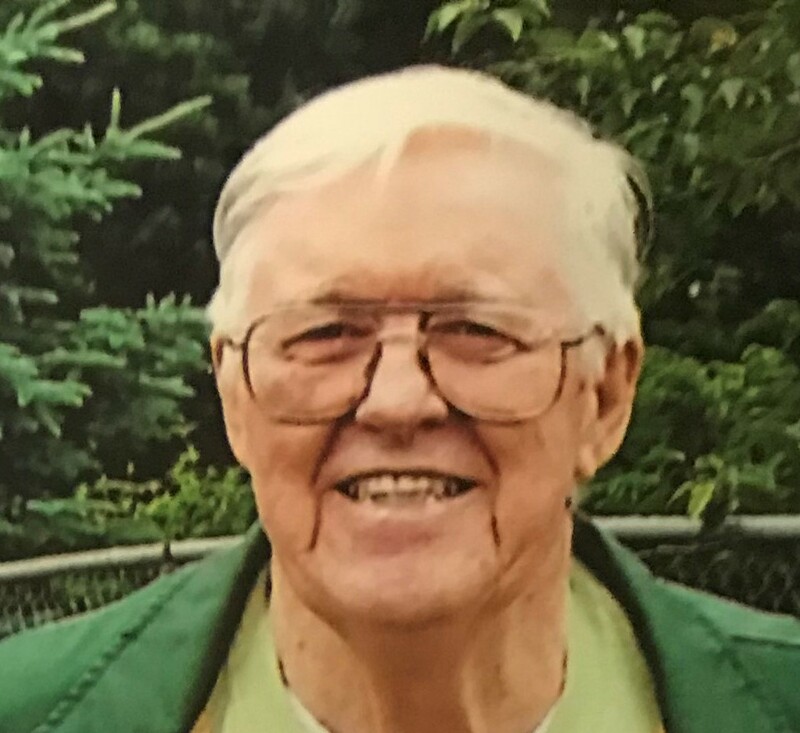 Bill worked as a teacher in the New Haven school system for 27 years, and during the summers was head lifeguard at the Clinton Town Beach. He organized and ran the Town Beach youth program each summer, and could be found most sunny days perched on a lifeguard chair, and in the days before sunblock, he would wear an oversized pith helmet and protect his nose and lips with bright white zinc oxide. 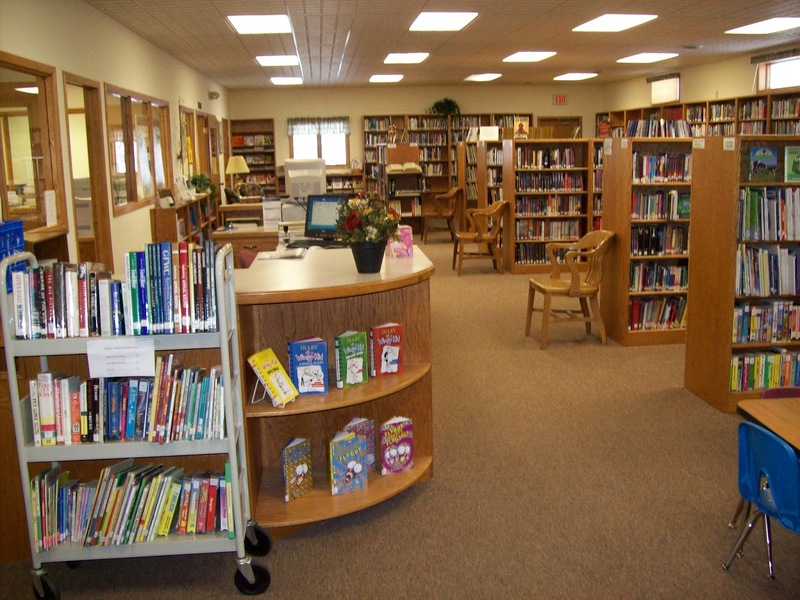 Bill also was the first Parks and Recreation director for the town of Clinton. Upon retiring from teaching, Bill began a second career as the Public Relations Director for the Connecticut Water Company, where he relished the opportunities to charter small planes and take aerial photographs of Water Company properties. 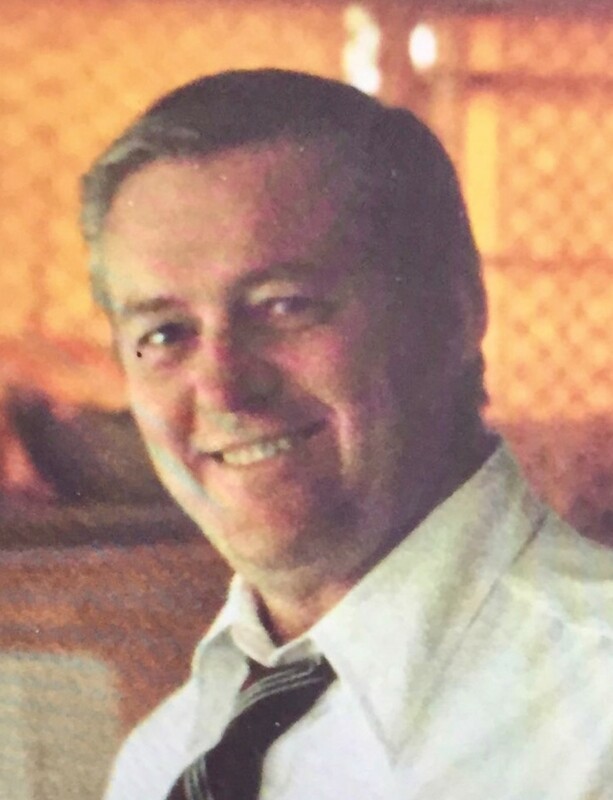 He later was elected and served four years as a Probate Court Judge. Bill was very active in the community, serving as a Clinton Police commissioner, Vice Chair of the Democratic Town Committee, past President of the Clinton Rotary Club, past President of the Clinton Men’s Softball League, past Director of the Clinton Chamber of Commerce, a Founder and past President of the Clinton Touchdown Club and head coach of the mighty Clinton Packers. A longtime fan of the Boston Red Sox, New York Giants, Notre Dame football, and UConn basketball, Bill also was a life member of the Elks Club in Westbrook, and a parishioner of St. Mary Church of the Visitation in Clinton. Bill took great pride in his Irish heritage, and was named Irishman of the Year by the Elks Club in 1976. 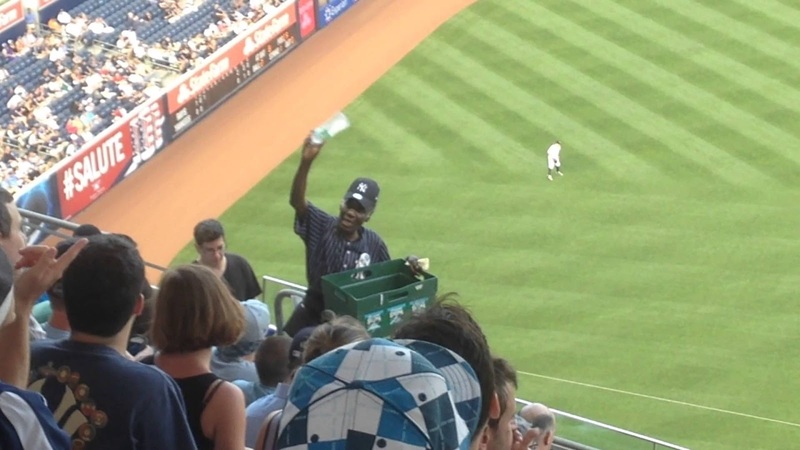 During much of his adult life, Bill worked many part-time jobs to help support his family. But despite his busy schedule, he always found time to share his knowledge and experience with his children and grandchildren, whether it was the proper way to sing an Irish ballad or how to throw a sharp-breaking curveball. In addition, he loved to work in his garden and tinker at his work bench in the garage. During his final years, he enjoyed nothing better than to drive down to the docks and eat lunch while gazing at his beloved Clinton Harbor. I’m going to miss you, Dad. You lived a long, full life, but it still hurts that you’re gone. Please save some seats for us next to Jesus. 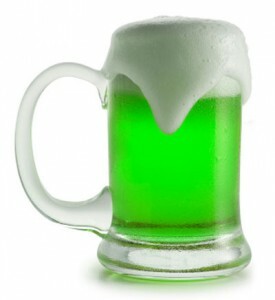 And since St. Patrick’s Day is coming soon, you can be sure I’ll raise a glass of green O’Doul’s in your honor. In this weekend’s readings at Mass, one major theme runs through all three Scripture passages: God’s incredible love for His people. 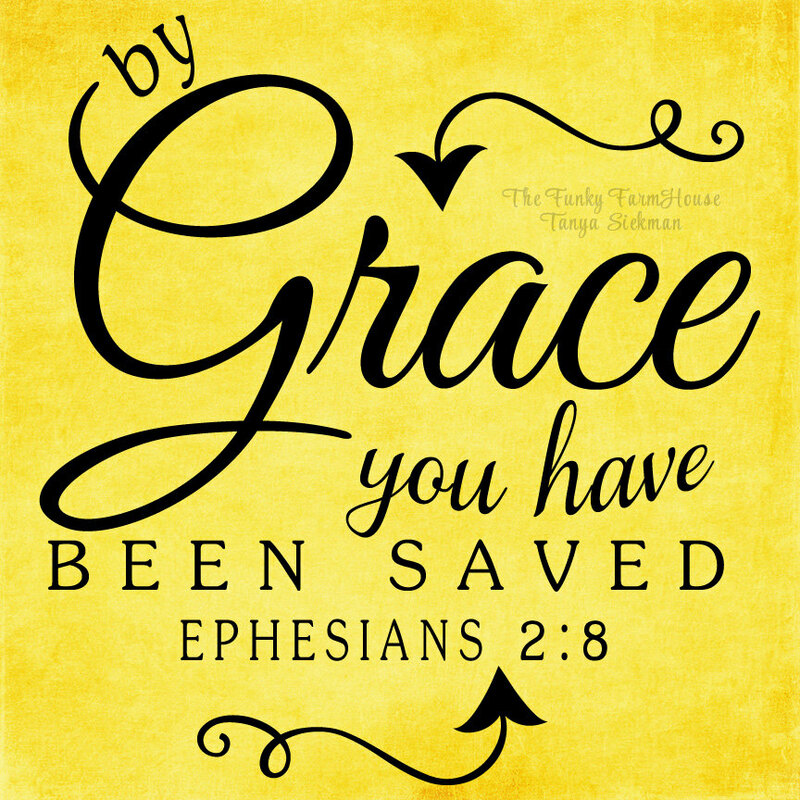 We don’t deserve to be saved, but God offers salvation because of His love for us. We then perform good works—loving God with all our heart and our neighbor as ourselves—as a natural outpouring of gratitude for being offered the gift of salvation. 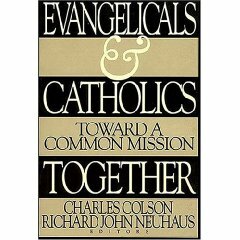 To clarify a major Catholic-Protestant argument over the centuries, we are not saved BY good works, we are instead saved FOR good works. Think of it this way: if someone gives you a birthday present, do you accept it joyfully, or do you reach for your checkbook and glumly ask, “OK, how much do I owe you?” How rude! And if the birthday present is worth $100 but you only have $20 in your checking account, this gesture is not only rude, it’s foolish. Since God’s gift of salvation is priceless, how can we possibly pay for it? To think that we can “earn” our way into Heaven by our own efforts is, I hate to be blunt, both rude AND foolish. God’s love for us is overwhelming and unlimited. 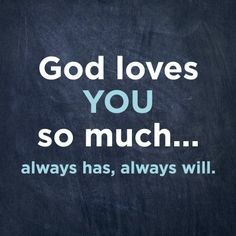 Also, it’s remarkable that He loves us at all, since the history of mankind has been a steady stream of selfishness, ingratitude, hypocrisy, cruelty, idolatry and apostasy. If you’re not convinced, just read the morning paper each day for the next few weeks. Frankly, I were God (and let’s all offer a heartfelt “Thank God!” that I’m not), I would have given up on mankind a long time ago. But God does love us. So much so, in fact, that He gave His one and only Son to pay the ultimate price for our sinfulness—Jesus, the sinless lamb, nailed to the cross as an atoning sacrifice. The only thing we need to “do” to receive this love of God is just that: receive it. All we have to do is accept it, embrace it, believe it. We simply put our faith and trust and hope in God—and that’s it. If we truly accept and embrace God’s love, His Spirit will fill our hearts and our good works surely will follow. Jesus said “the light came into the world,” meaning the light of God’s truth and love and forgiveness. He then explained that many people “hate the light,” preferring instead the evil and wicked works of darkness. Let’s not make that mistake. 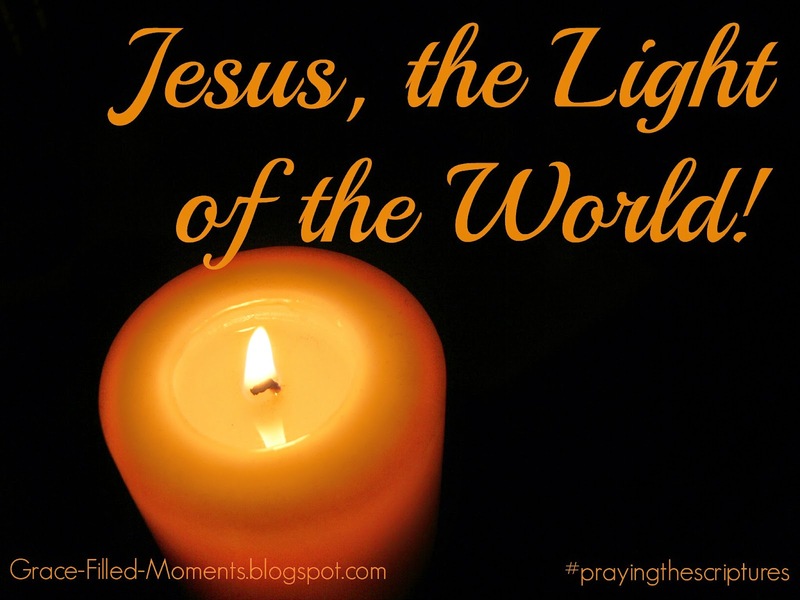 The light of God’s love is shining brightly in the world. Embrace it—embrace HIM—and let His love and peace and joy fill your heart. Church of the Visitation, Clinton, Conn. Feb. 24, 2018. On behalf of my mom and the rest of the Dunn family, I want to thank you so much for coming here today and supporting us during this difficult time. We really appreciate it. Did you happen to read my dad’s obituary in the paper? Two graduate degrees. Four years in the Navy Reserve. Two years in the Army. School teacher in New Haven for 27 years. Head lifeguard at the town beach. Created and ran the Town Beach summer youth program. Clinton’s first ever Park and Rec Director. Then, after retiring from teaching, a second career as Public Relations Director for the Water company. And then 4 years as probate judge. Then… in his spare time, he was a Clinton Police commissioner, Vice Chair of the Democratic Town Committee, past President of the Clinton Rotary Club, past President of the Clinton Men’s Softball League, past Director of the Clinton Chamber of Commerce, a Founder and past President of the Clinton Touchdown Club, and a former board member of the Connecticut Economic Resource Center. And he taught us how to swim, how to throw a curve ball, and how to shoot foul shots. He built a full-size basketball hoop and backboard in the yard, a puppet show theater, doll houses for the grandkids, and he built 3 additions onto the family home—all of which, I’m happy to report, are still standing and not leaking. He loved working in his garden, and tinkering at his work bench in the garage, and some of his colorful creations are still the talk of the neighborhood. When did he find time to sleep? I can relate. When I was a teenager, I was pretty sure I knew everything, and I was certain my father knew nothing. But only after I became an adult, and especially after I got married and started a family, did I begin to appreciate and admire what my father did. When I think back to our youth, now from an adult perspective, I’m amazed at my dad’s courage. He did things I would be too cautious to even bother trying. 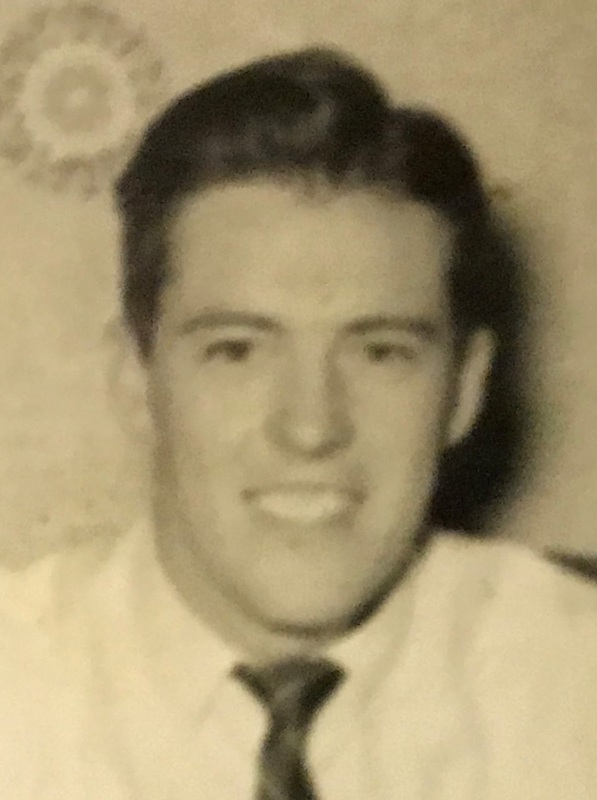 For example, in the mid-60s, he and a few other men in town—Jim Beardsley, John Davis, Bob Richards, Hank DeMazza—decided we needed a youth football program. So, they just went out and created one out of thin air. At the time, I had no idea how hard they worked to make that dream a reality. And how much resistance they faced: all the people who mocked them and said there were too many obstacles. But they did it, and Dad was one of the founding fathers of the Clinton Touchdown Club, one of the club’s presidents, and the head coach of the mighty Clinton Packers. Countless hours, and all volunteer. I remember another time when my father displayed amazing courage and perseverance: the Summer of the Lobster Pots. My father loved lobster; it was a real treat. An in the late 60s he was upset that the price of lobster had gone up to something like 65 cents a pound. Highway robbery! So, he decided to get lobsters directly out of Long Island Sound. He bought a used boat, which he named the “Leprechaun.” He bought a brand new outboard motor. He got the registration and insurance. He rented a slip at the town dock. He bought 6 new lobster pots, and paid for the special fishing license. He made buoys out of old Clorox bottles, and painted them green. Finally, he got the bait fish. Since lobsters are scavengers, the older and smellier the bait, the better. And there’s nothing more invigorating to the senses then filling up a bucket with fish that’s been sitting in the sun for 3 days, and then driving from Westbrook over to the docks in Clinton with that bucket inside the green van. What a fun ride. So, he put his 6 pots out by the breakwater past Clinton Harbor, with the pots at the bottom and rope connecting them to the buoys on the surface. And we started catching lobsters. It was great. However, after a while, we found out that professional lobster fishermen don’t take too kindly to amateur lobster fishermen. One day we chugged out to the breakwater in the Leprechaun and discovered all of our lines had been cut. The green buoys had drifted away and the pots were lost at the bottom of the Sound. That ended the lobster adventure, but we ate a lot of lobster that summer, and if you add up the cost of the boat, the motor, the insurance, the license, the lobster pots, and the bait, it worked out to only 300 dollars a pound. My dad embarked on many other adventures, such as the Baseball Road Trip. One day he and myself and Timmy and Jerry piled into the van, and we headed out on a Friday afternoon. We saw a Mets game that night in New York, a game in Philadelphia the next day, and a Red Sox-Orioles double-header on Sunday in Baltimore. And we slept in the van at rest areas along the Jersey Turnpike. It seemed like the Ritz-Carleton to us—except with no shower, and you had to walk across a parking lot and use the bathroom with a bunch of truckers. But we loved it! The greatest adventure of all had to be the famous cross-country trip. My dad bought a pop-up camper trailer, and hitched it to the green van. All 7 of us piled into the van and we went on a 30-day, 7,000 mile saga around North America. On that journey we saw Niagara Falls, Mount Rushmore, Yellowstone Park, the Golden Gate Bridge, LA, Disneyland, and Las Vegas. We stayed at the Arcand’s house in Washington State during the middle of the trip. We almost lost the camper in Idaho; almost lost our lives in East St. Louis; and almost lost our minds if we hadn’t returned home when we did. But it was an amazing adventure. Such vivid memories, even though it’s been almost a half-century ago. My dad had loads of courage, and when he wanted to do something, he just went out and made it happen. And he had tons of perseverance. Sometimes we may have instead used the word stubborn. But he was a bulldog; he was not a quitter. My father lived a long, full life. He strongly believed it was important to do things, not just sit around and think about doing things. Which made it so frustrating for him these last few years. But he leaves behind a terrific legacy. He was all about family. The family was the most important thing in his life. 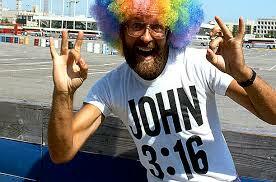 During these recent difficult and sad days, I’ve been clinging to my favorite Bible verse: John 16:33. Jesus told his followers: “In this world you will have tribulation.” Well, no kidding, Lord. Life has a lot of heartache and sadness, sickness and pain, sin and death. Then the next thing Jesus said was, “But be of good cheer.” Um, what? Life is filled with pain, but we’re supposed to pretend everything is fine? That’s the key: Jesus has overcome the world, and all its pain and sorrow. His death paid the price for our sins, and his Resurrection conquered death once and for all. And best of all, he promised that if we put our faith in him, we too can live forever in the paradise of Heaven. And I am 100% convinced that just one week ago my dad had a wonderful reunion with his mother and father; with his brother Dan, and sisters Anna, Loretta, Jane, and Liz. And all the pain and struggle he endured in recent years is over. And I’m convinced that we will have a wonderful reunion with him someday, because God’s love and mercy are more powerful than sin and death. So, thank you again for coming here today. 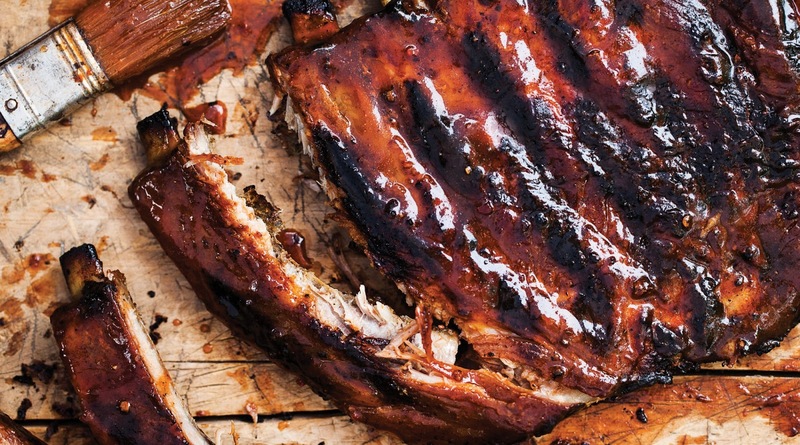 Please join us afterward in the church hall for a reception—and there’s tons of food, so you gotta come. We can share a few tears and share a few laughs. But most of all, we can be of good cheer despite this tribulation, because the Lord has overcome the world.